In 1996, after the bombing of the Khobar Towers for which Osama took credit, the Saudi Binladen Group was given the contract to rebuild the facility (see article on page 14). Also in 1996, FBI agents in the Washington field office were investigating the World Assembly of Muslim Youth, a suspected terrorist organization that included Abdullah Bin Laden, the group’s president and treasurer, and Omar Bin Laden. BBC News uncovered internal FBI documents showing how the agents were ordered to stop their investigation. The case was only reopened the week after 9/11 and the day after both brothers fled the US with FBI permission. In the days after 9/11, two dozen members of the Bin Laden family and over 100 members of the Saudi royal family were flown to assembly points in Texas and Washington and then flown out of the country. At least one of these flights took place during the total ban on civilian air traffic over North American airspace. 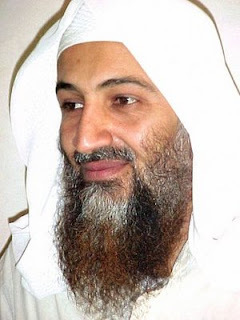 Declassified FBI documents show that the Bureau believed the Bin Laden family flight out of the country—carrying suspected terrorists Abdullah and Omar Bin Laden—was chartered by Osama Bin Laden himself, but some of the passengers, including Abdullah, were not even interviewed in person by the FBI before their departure. The former chief of the US visa bureau in Jeddah, Michael Springmann, has testified that during his time there, he was respeatedly ordered by CIA officials to approve visas for Bin Laden’s mujahedeen cohorts so that they could be provided training at US military bases. 11 of the 19 alleged 9/11 hijackers would go on to get their visas from the same consulate.